1.1 UNIT 6 DAY 1 - Explicit, Implicit and Rubato Rhythms. 1.2 UNIT 6 DAY 2 - Drums of Multiple Percussion Instrument (MPI): elements and history. 1.3 UNIT 6 DAY 3 - Percussion Scores and Rhythm Patterns. 1.4 UNIT 6 DAY 4 - Latin percussion. UNIT 6 DAY 1 - Explicit, Implicit and Rubato Rhythms. When the rhythm is loud and clear. When a piece of Music is rhythmic but there are no instruments playing the beat part. When the beat is not fixed of can not be appreciated. ④ Examples of music with explicit, implicit and rubato rhythm. Popular Music, Classical Music and Medieval Plainchant respectively. 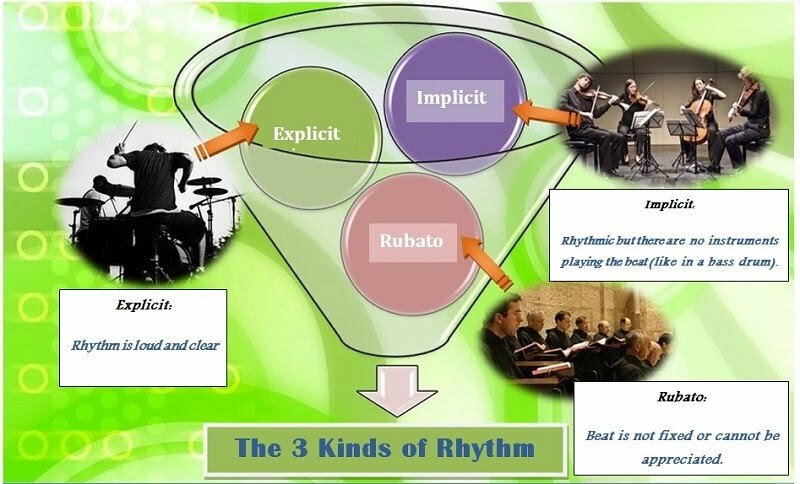 There are three kinds of rhythms: Explicit, Implicit and Rubato. * Explicit Rhythm: When the rhythm is loud and clear. * Implicit Rhythm: When a piece of Music is rhythmic but there are no instruments playing the beat (like in a bass drum). * Rubato Rhythm: When the beat is not fixed or can not be appreciated. Explicit Music works are usually of folk or popular character. In Classical Music, the beat is present, but it is not always the most important element. The Tempo Rubato can be found in the medieval plainchant and in some jazz improvisations or in relaxing music. Groups of six consecutive descending notes. UNIT 6 DAY 2 - Drums of Multiple Percussion Instrument (MPI): elements and history. 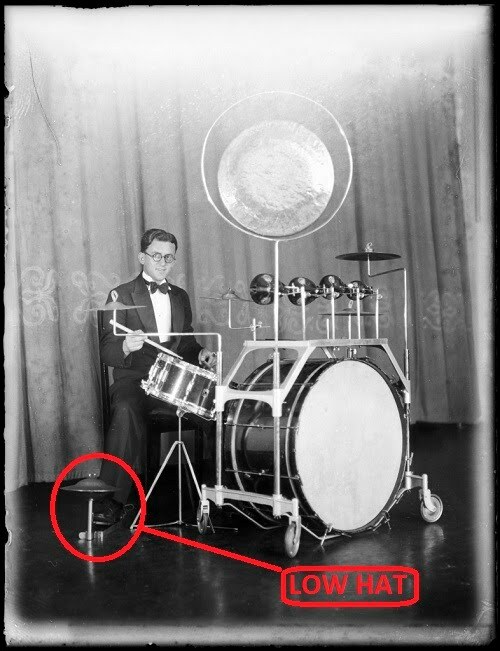 ① Elements of a drum set, separated into Idiophones and Membranophones. 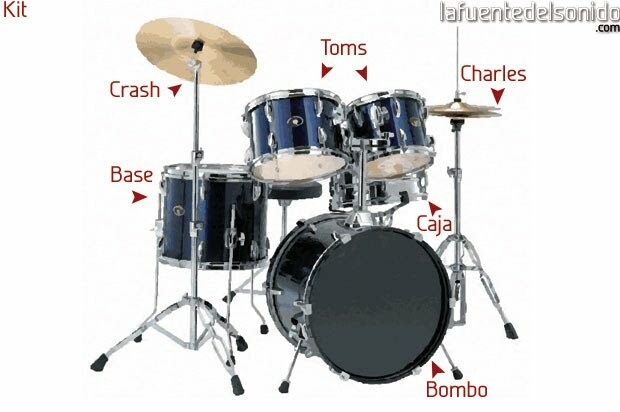 Cymbals are Idiophones, while the bass drum, snare and toms are membranophones. It consists of a ride cymbal, crash cymbal, a hi-hat, a bass drum, a snare and three toms. 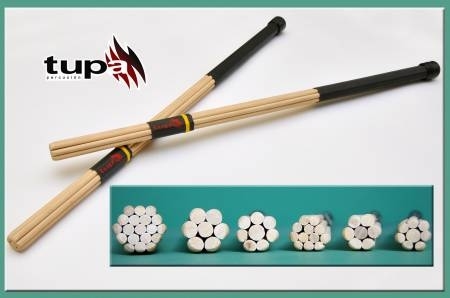 Drums stands for Multiple Percussion Instrument (MPI is the acronym). It Consists of a series of Idiophones and Membranophones instruments. This condition is the reason that makes every drummer choose her of his kit or basic set, although there is a standard. 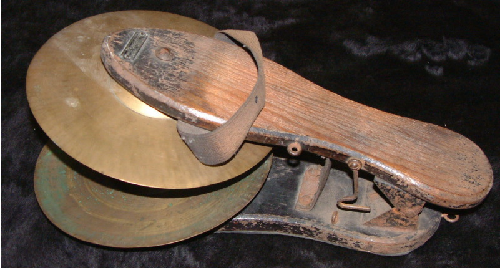 Cymbals are Idiophones while the Bass Drum, Snare and Toms are Membranophones. 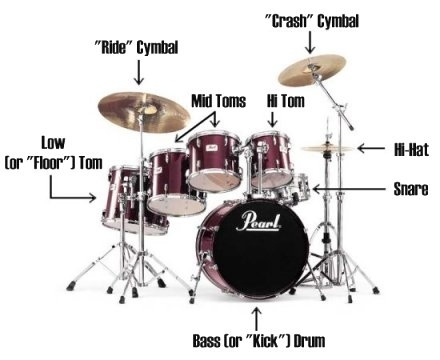 A standard Drum Kit is composed of a ride cymbal, one crash cymbal, one hi-hat, a bass drum or kick drum, a snare and three toms. 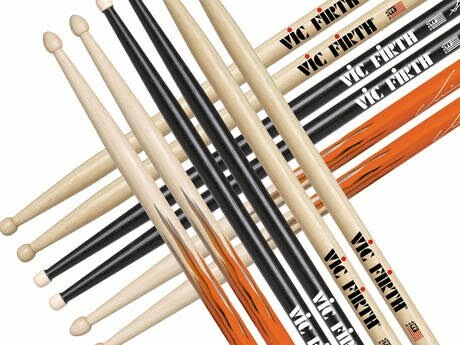 This does not mean that every drummer kit is the same or that every drummer must choose the same basic set. UNIT 6 DAY 3 - Percussion Scores and Rhythm Patterns. 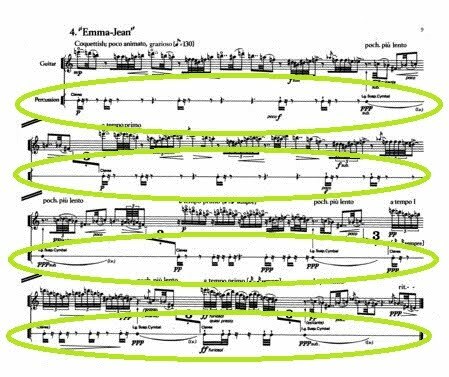 They are scores with staves that have to be accompanied by a code that lets us know what instrument refers to a particular "pitch". ② Undetermined pitch percussion scores. They are lines where the rhythmic figures are placed. ③ What is a Rhythm Pattern. It is a repetitive musical phrase in which the main thing is the rhythmic figuration. 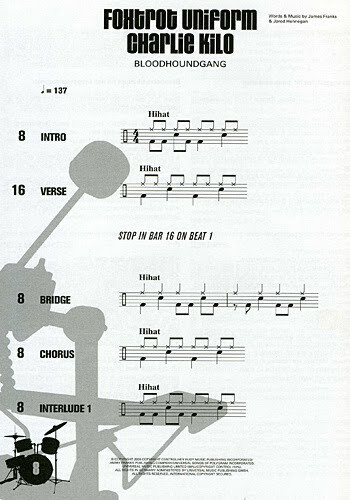 ④ Name of the short and long stops in a drum pattern. The clef we use to write for percussion instruments consists of two parallel vertical lines. Usually we employ a staff, but it is not strange that we find systems from one to four lines according to the needs of the one who writes the score. Drum scores use staves. They must be accompanied by a code that lets us know what instrument refers to a particular "pitch". Scores for undetermined pitch percussion are lines where the rhythmic figures are placed. 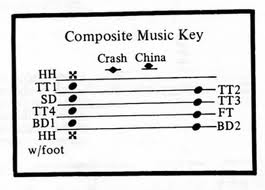 The rhythmic pattern is a repetitive musical phrase in which the main thing is the rhythmic figuration, which is interpreted along the song and stops with what we call "breaks" which are sections of a few beats, usually paradiddling, and "fill in", which usually lasts one or two bars, separating each of the parts. Rhythm Pattern, Breaks and Fill Ins. Groups of four consecutive ascending notes with gaps between the first and the second. UNIT 6 DAY 4 - Latin percussion. 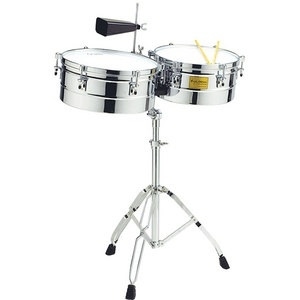 ① Percussion in Latin Music Orchestras. They have many drummers that play only one instrument. 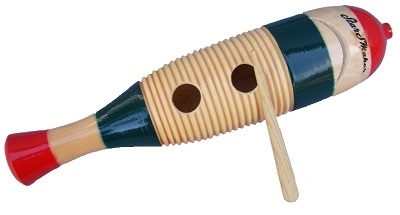 ② Maracas, claves, conga and timbaletas. The maracas, which were originally two fruits that had dried and preserved the seeds inside; claves, which are two sticks, commonly made of lignum, with which the percussionist plays the basic rhythm of Caribbean and Latin Amercian Music. The other two special instruments of this orchestras are the congas, an elongated drum and timbaletas, which are two metal drums and a cowbell. The orchestras of salsa, samba and Afro-Cuban Music have musicians that plays each instrument separatedly. The maracas were originally two fruits that had dried and preserved the seeds inside. 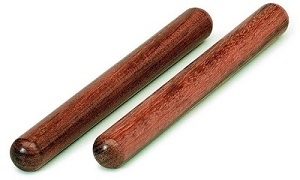 The claves are two sticks, commonly from lignum, with which we play the basic rhythm of Caribbean music and part of the Latin American styles.. The conga is a type of elongated drum. The musician usually play two, even three of them. 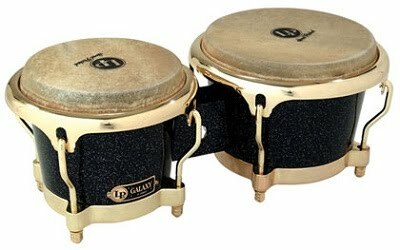 The timbaletas are composed of two metal drums and a cowbell. 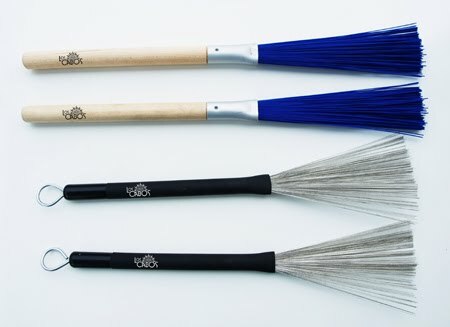 The guiro is a scraper that changes its tone depending on the speed with which the stick struck the body. 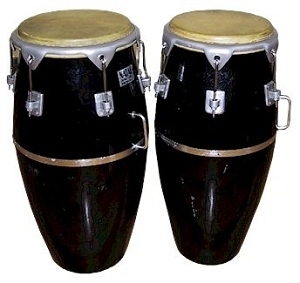 The bongo is formed by two small drums that are placed between the knees.